we have 3,150 listings available. Our site is made available through the efforts of members of the Livingston County Board of REALTORS. Search for all MLS listings in Brighton Michigan and Livingston County. Please ask us any questions you may have at sign up. Once you sign up we will provide you with a free access password so you can come back and search for Livingston County and Brighton Real Estate at your leisure. 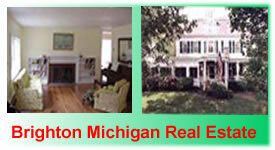 Do you want to learn more about Brighton MI Real Estate? Our members specialize and are experts in Fine Homes and Properties throughout Brighton Michigan. Please tell us what you are looking for and we will make sure to have one of our experts follow up. You can find great local Ann Arbor, Michigan real estate information on Localism.com Jon Boyd Ann Arbor Real Estate Buyer's Agent is a proud member of the ActiveRain Real Estate Network, a free online community to help real estate professionals grow their business.